Hello World! 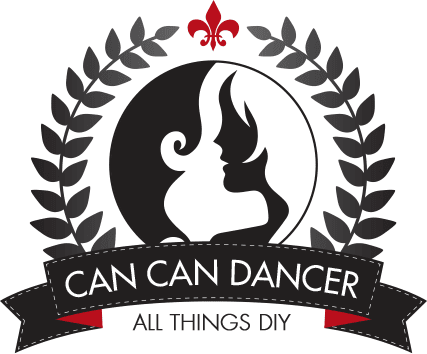 Can Can Dancer has moved. 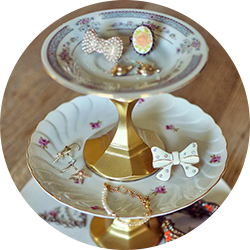 Please visit www.cancandancer.com to see new DIY posts (and all past posts too!). Happy Crafting! I actually made this last summer, and just had never made a tutorial for it. I love this dress, it is sooooo bright!!! 1. You will need a very large tshirt. 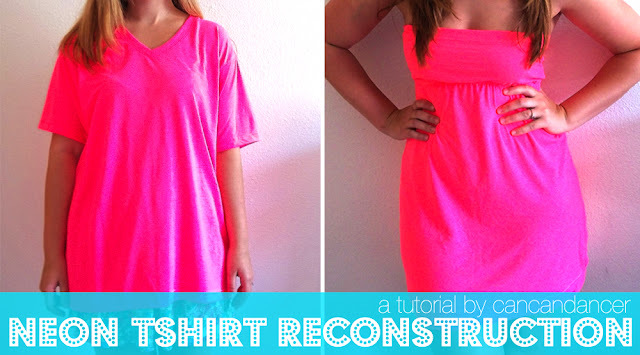 Cut off the sleeves, and then cut a straight line right below the neckline. The sleeves will become the top of the dress, and the large chunk will become the body of the dress. 2. Take the two sleeves you cut off, and cut the side seam of the sleeve open on each of them, and lay them flat. This will give you a nice long strip of fabric. (This will be the top of the dress, so test the rectangle pieces against your bust for coverage. As in-measure from your bra band to however high you want to cover your bust.) Cut out 2 identical rectangle pieces. 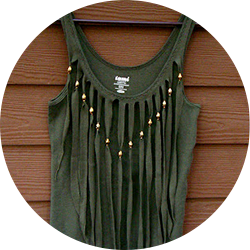 Don't cut off the finished sleeve hem- later you can use this as the top hem on the dress. 3. Match up the top (previous sleeve) portions with the matching body (large chunk) portions. 4. Sew (right sides together) the top pieces to each body piece. Then sew up the side seams entirely. 6. Trim access and turn dress right side out. My shirt was stretchy enough not to need top hem elastic, but if you need it, just feed it through the top hem. Please excuse my lazy summer hair. Follow Can Can Dancer via Bloglovin for more DIY tutorials. ;) Your "lazy summer hair" doesn't look so lazy - It looks good. I really like your dress too :D Excellent job, I will add it to my stock pile of things I need to do. Did you sew the elastic around the whole dress? Or just the front or back? What size is the tshirt and what size tshirt do you normally wear? And is the sleeve whats around your bust? I bought this shirt in an extra large from Michaels (and I used a coupon so it was 40% off!) I usually wear a medium shirt in female sizes, or a small in unisex. The sleeve parts are around the bust. If you need more coverage, you can always add a strip around the top hem, or use the scraps from around the neckline that you cut off. just to verify...the top part of the dress is actually the sleeve right??? Yup! Just cut the sleeve open at its original seam and cut out a rectangle for the front and the back. What should I do if the rectangles I cut for the top are about two inches shorter than the bottom half on each side? Should I cut the bottom half to meet them or just leave it the way it is? Measure under your bust and make each rectangle half of this measurement. Awesome project! I'm working on it but I have a problem. I got my two rectangles from the sleeves, but they are shorter than the upper part of the large chunk. Should I cut the sides of the upper part of the large chunk or just adjust them with the elastic? Thanks in advance! Measure under your bust, if the two bust pieces add up to about the same length horizontally then you should be fine. If your shirt is really stretchy then elastic will do the trick. I would love to see when you are finished! I was wondering if you could make a video of this. It would be easier for me to it with one. Cause i was getting confused. Please and thank you! Hi! 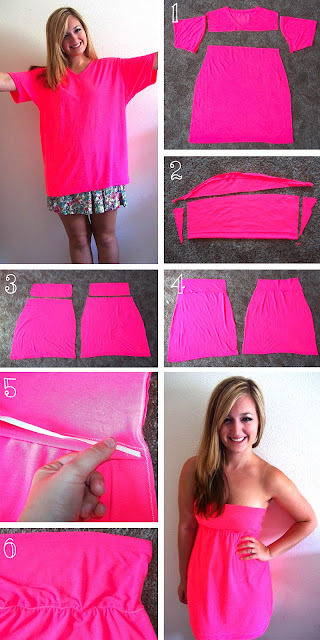 I love this tutorial of yours, I made it today but since the sleeves weren't long enough to cover my bust, I added some black fabric to it. So I had a top & skirt then sewed them together, kind of an altered version. That's a great way to do it! I'm thinking my shirt had abnormally wide sleeves, since others are having the same problem. I also found that it wouldn't stay up at the top, so I added some shirring under the arms & a small bit of elastic at the back. That looks so adorable! The black sash and strip of fabric were a smart choice! Thanks for sharing! I did cut the sides of the original shirt and then sew them back together. I did that so that I could taper the seams towards the bust. That way the dress was fitted around my under bust and free around my hips. Whoa! That is quite a transformation. From that experiment, it really doesn’t seem like you had a lazy summer, Lala. It’s more like, a very creative summer. 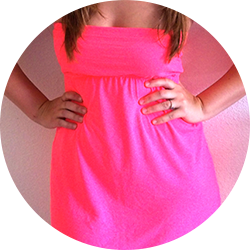 Your neon pink dress looks fabulous on you. Just add some stunning accessories, plus a cute pair of shoes with that dress, then you’ll most probably be ready to rock that outfit. Good job! Hi, I just made this and it was like the super easiest thing. I'm so happy thanks so much for the idea ! Awesome! I would love to see a picture! I have been visiting various blogs for my dissertation research. I have found your blog to be quite useful. Keep updating your blog with valuable information... Regards. All content and pictures © 2008-2016 Laura Olphie unless otherwise stated/linked. Theme images by sebastian-julian. Powered by Blogger. Do not repost my tutorials/posts in part or full without my permission. If you want to share a tutorial, only share one image per post and correctly link back to CanCanDancer.